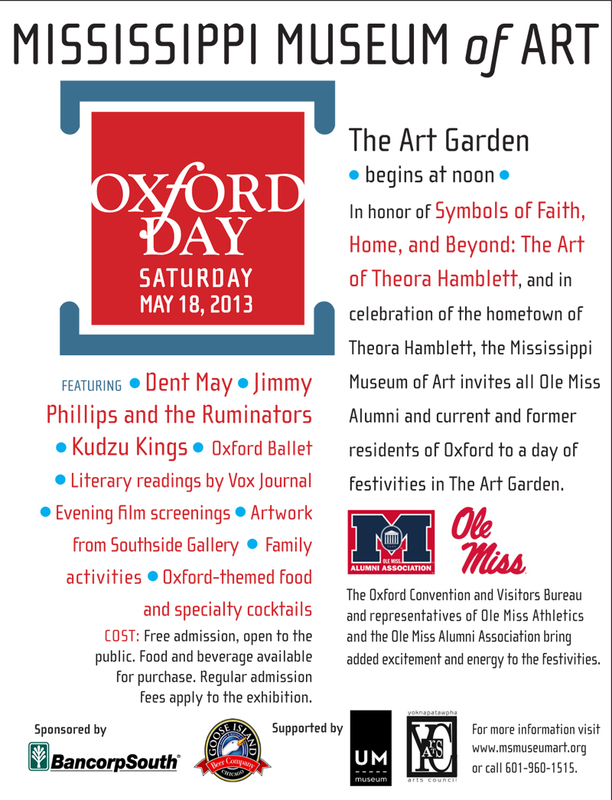 Those who, like me, were able to spend a little time in Oxford while getting our education, should enjoy the Mississippi Museum of Art's Oxford Day, this Saturday. Reservoir alumni, consider taking in this free event. Looks to be a good time. So, woudl a USM day feature Black and Gold double knit?